Family Friendly Florida – More Than Just The Sun! Now that Christmas is out of the way and the better weather is starting to return to some parts of the southern states now is the perfect time to start thinking about your next family getaway. Even if you aren’t in a position to book it now, it’s the perfect time to start looking at options for the summer holidays, or maybe a great option for spring break with the kids this year. If that sounds like you, never fear. Check out these great things that Florida has to offer and why you need to check it out this year if you haven’t before. Simply put, Florida is an absolute haven for amusement parks. Between Universal Studios, Discovery Cove, Legoland, Epcot and Disney World (and that’s just the tip of the iceberg!) 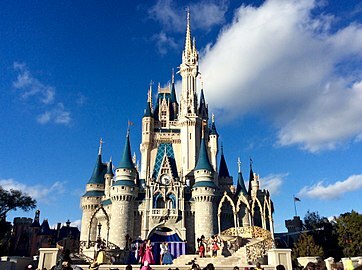 you will have no trouble at all finding the perfect amusement park to entertain everyone in the family from the time you set foot in the Sunshine State until you depart! You can even stay at Walt Disney World to make it easy to access some of the best in Florida’s parks. What kid wouldn’t want to stay at the world famous Disney World?! Speaking of Disney, did you know you can catch a great Disney Cruise from Florida? Not only that, but if you’re looking for a great option for getting away and you want to explore a bit of the Caribbean, Florida is the perfect point from which to sail. Many cruises around the Caribbean leave from Florida ports, so what better way than to take advantage of the close proximity than to add a short cruise to your Sunshine State holiday? The Keys – What More Can We Say? If you want some of the most pristine beaches without having to leave Florida, head to the Keys. This string of pearl-like islands in the extreme south of the state give the Caribbean islands a run for their money. With luscious resorts that cater to both couples and families it’s an easy addition to any Florida holiday that will have everyone jumping for joy. Quench the thirst of the budding astronaut in your family and take a trip out to the world famous Cape Canaveral to experience a live rocket launch. Watch real astronauts be blasted into outer space to work on the International Space Station or watch satellites get sent up for research purposes. Even if you can’t make a launch itself you can head over to the Space Centre where you can check out some impressive displays including Buzz Aldrin’s moon suit, still covered in dust. And finally, for all the nature lovers in the family the Florida Everglades are an absolute ‘do not miss’. Bursting with wildlife and things to do such as going diving to see corals, hiking, jet skiing and more the Everglades is a great place to get the family out and enjoying nature and all it has to offer. Don’t forget to watch out for alligators! So if you’re looking for a place that has everything for everyone, rest assured that Florida won’t disappoint. So what are you waiting for? Book your next epic trip to Florida today.